Chicago has enjoyed warmer than average temepratures this week, making it easy to forget just how cold it can get in January. 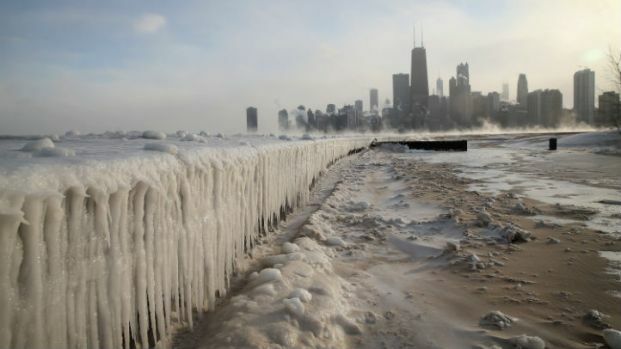 On this date 30 years ago, however, Chicago experienced its coldest day in recorded history. Temperatures dropped as low as 27 degrees below zero on Jan. 20, 1985, according to the NBC 5 meteorologist Andy Avalos. The wind chill temperature was even more brutal at 80 degrees below zero, as wind chill temperatures were calculated at that time. Today, wind chill temperatures are calculated differently. They used to be measured with a device similar to a metal can, which recorded far colder temperatures than a human would. This means that frigid day in 1985 would have felt more like 55 degrees below zero as wind chill temperatures are measured now. This number rivals wind chill temperatures from the coldest days of last year's Polar Vortex when they reached the 40-below-zero range. On Tuesday, exactly 30 years after that cold day, the temperature is expected to reach nearly 40 degrees, which is the above the average of 31 degrees. The unseasonable weather is not expected to last, however, as cold temperatures make their return next week.